This entry was posted on November 9, 2013 by Katie. It was filed under Kiwi Word of the Day, New Zealand and was tagged with Kiwi Dictionary, Kiwi slang, New Zealand slang, Panelbeater, understanding Kiwis. 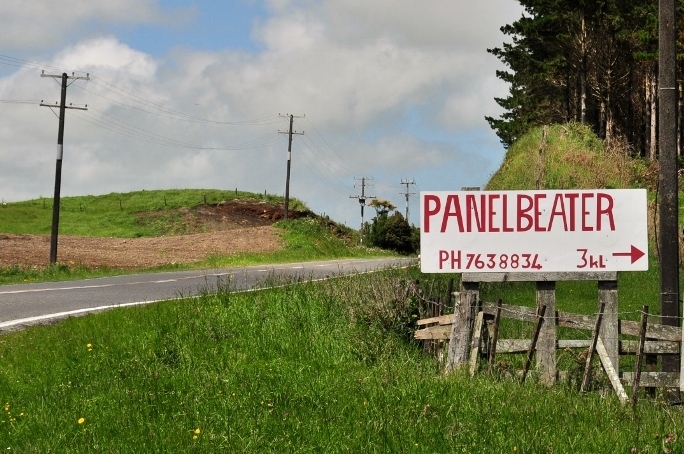 I thought he was joking…I couldn’t believe that they’re actually called panelbeaters here. I can’t speak for Oz, England or Canada, but they’re definitely not called panelbeaters in the States! I know they’re also called panelbeaters in South Africa. I have a feeling the US might be the only country that calls them something different. It certainly wouldn’t be the first time…hahaha!